I often get sent products or get asked to do reviews about gear though right now I’m short of time to do my in-depth reviews. As I still use the kit quite a bit, Gear Outtakes is my solution to the problem - a seasonal collection of kit and what I think about it, inspired by Minimally Minimal. A 137 g light down pullover (Size M). 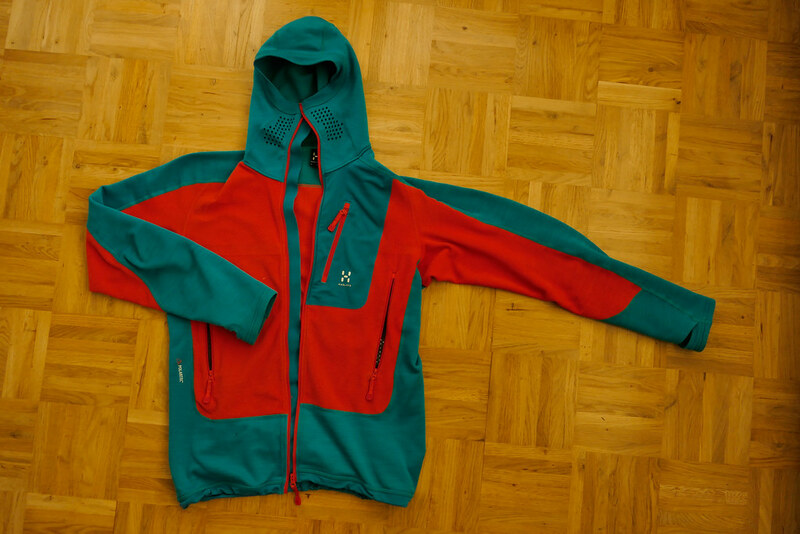 Between the 10X fabric is 900 cuin down and this sweet little pullover has been warm enough for summer adventures, when reaching the summit and there’s a small breeze, chilling at camp or taking a break between bouldering. It packs very small so easily fits in my backpack wherever I go, and is comfortable on the skin. While the material does feel filigrane it can take a bit of abuse, though I have used it strictly as a garment at camp/ resting/ when more warmth was needed. A long zipper helps with getting in and venting, there’s stretchy rims on the hem and cuffs and that’s about it. Really something for a SUL setup! I write it really down to remember it later. As I’m on over a dozen trips a year I sit down each evening at camp to write up how the day went. 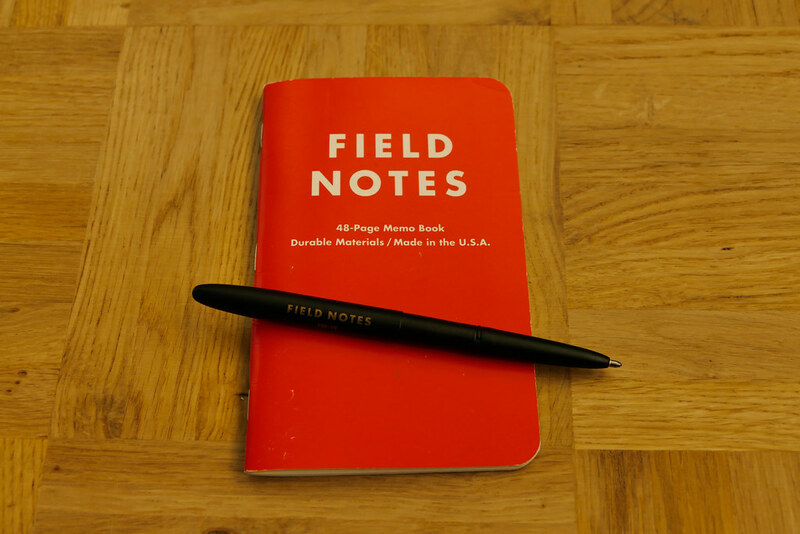 With the Expedition note books from Field Notes I can be sure that my notes will survive down pours and freezing cold temperatures. The FN-19 Space Pen packs small but is a real pen when in use, which I like. The ink won’t bleach, though it does have a bit of a tendency to smear when not 100% dry. / Pen 19 g, note book 30 g.
If it looks like it will get cool and wet on a spring, summer or autumn trip, the 331 g (Size S) light Nano-Puffy Hoody comes along, often even in conjunction with the PHD WaferLite Shirt. The Nano Puff Hoody is a classic piece and likely a staple in many outdoor mens & womens wardrobe, and for a good reason. It’s a super warm hoody that keeps the wind outside and has a DWR finish that lets you wear it in a light drizzle. Even if it gets wet, it still keeps you warm. It packs in its own inside pocket. The hood keeps the ears and head warm. It looks nice. 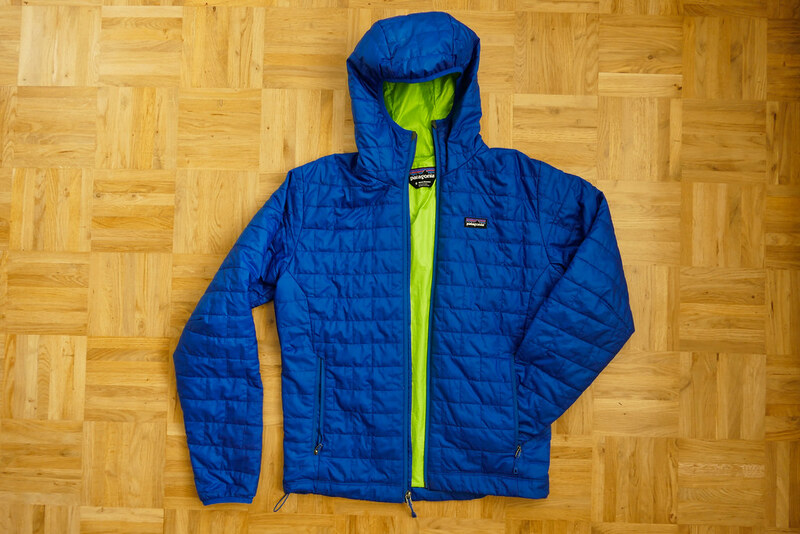 Yeps, with the Patagonia Nano-Puffy Hoody you’re warm & well-dressed in the three warm seasons! 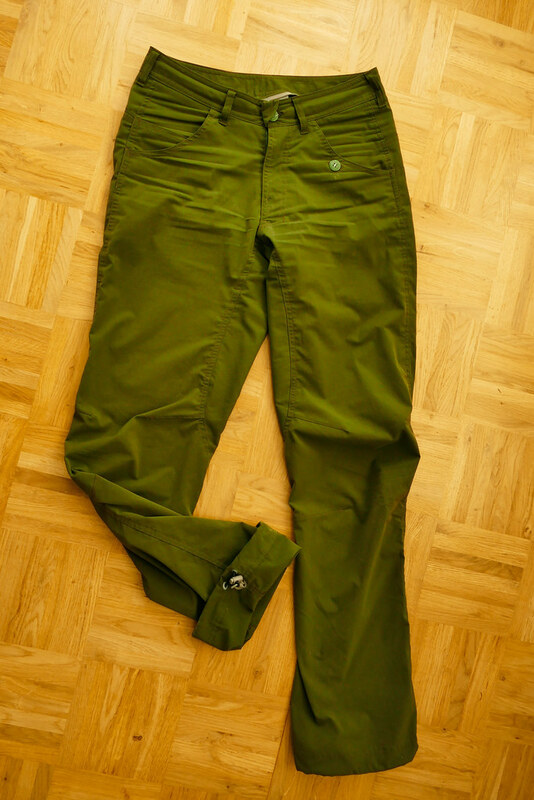 305 g in Size XS, the Houdini Thrill Twill Pants was along on lot of trips this year. The reason is simple: It’s a well-fitting pants with great freedom of movement. Hiking, scrambling, climbing, going to the pub or business meetings at the OutDoor, the Thrill Twill Pants does it all well while being comfortable. The biggest plus for me is probably that the size is so great, in XS I don’t need a belt and it fits perfectly. High heel hooks are no problem, and the pants dries fast when the get wet. Stretchy drawstring allow me to adjust the size of the trouser legs, very useful when climbing and wanting to see where that micro ledge for my next step is. A beautiful pair of trousers that’s durable and can be recycled at the end of its life. I have been using fleece jackets again for several years, and the Haglöfs Triton II Hood, a full-zip fleece jacket with thumbloops & a hood, has been a staple in my layering system since I got it last year. The hood can be worn under a helmet, be it a cycle helmet or my Petzl Sirocco, while the thumbloops help on those first cool autumn days where I forgot to take a pair of gloves along for the bicycle ride. 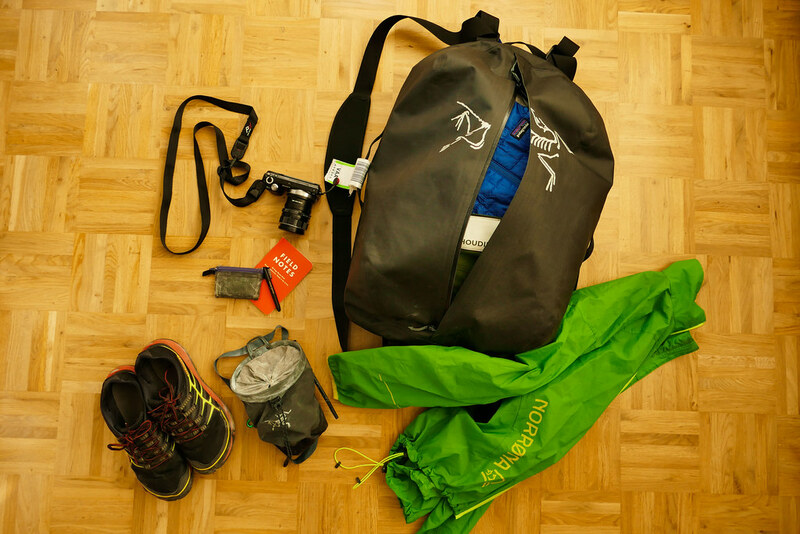 Three zippered pockets store stuff safely on the go, be it hiking, hill walking or climbing. It’s a comfy fleece jacket in a beautiful colour, and if I need a nice, cozy yet breathable midlayer or I’m cool in the mornings at home then the Triton II comes on. 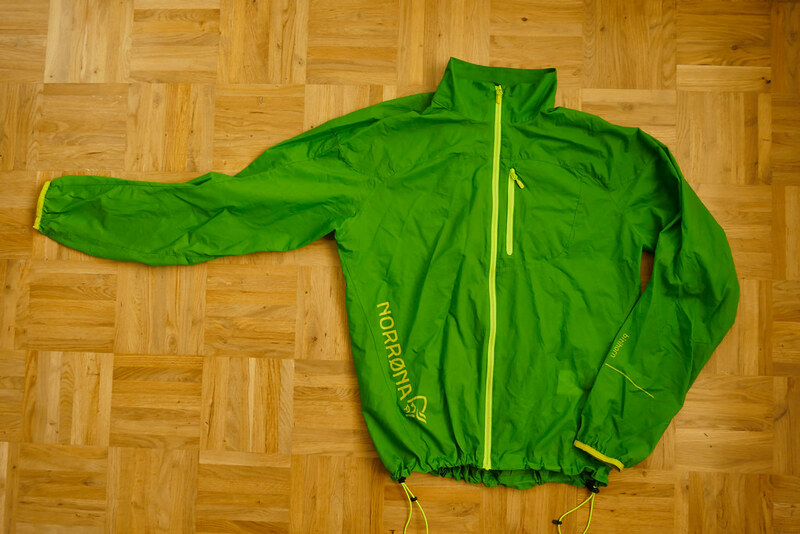 / 303 g in Size S.
The Norrøna bitihorn aero100 Jacket (104 g in Size M) accompanies me since autumn 2013 already and has been a joy to use. It’s lightweight and can be packed in its own chest pocket, which is ideal when travelling. While I occasionally missed a hood I managed to life without it. The Size M was a alright fit despite me being a Size S - I needed to pull the hem drawstring pretty tight for it being a good fit. 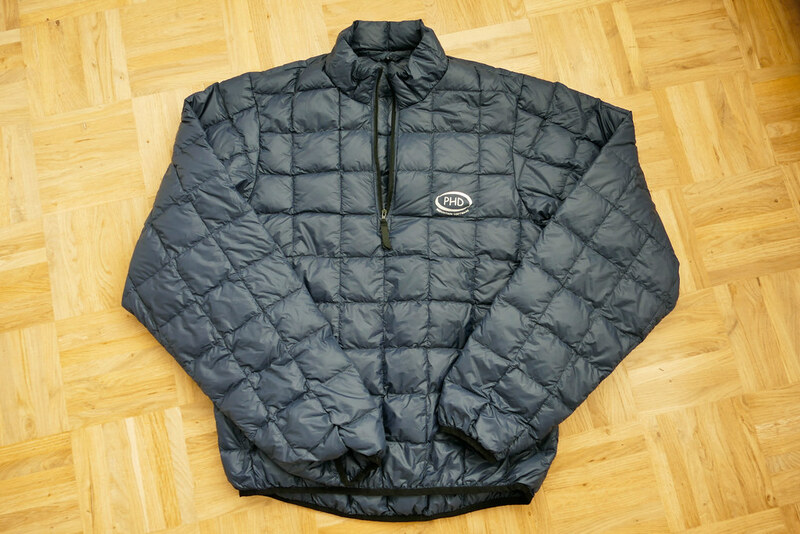 The jacket stays well in place also when in a cycling position and the material is durable enough to carry heavy grocery backpacks or light backpacking rucksacks. As its always windy on the coast here, the bitihorn aero100 is often along to keep the cool wind at bay. I’m not 100% happy with the Merrell AllOut Rush - the large drop is likely the reason for that. It’s not as minimal anymore as other shoes from Merrell and after wearing them for a while and switching into more minimalist shoes I realize how my stride has suffered. That said, if you’re new to the whole barefoot hiking & walking movement you might find the AllOut Rush just perfect. 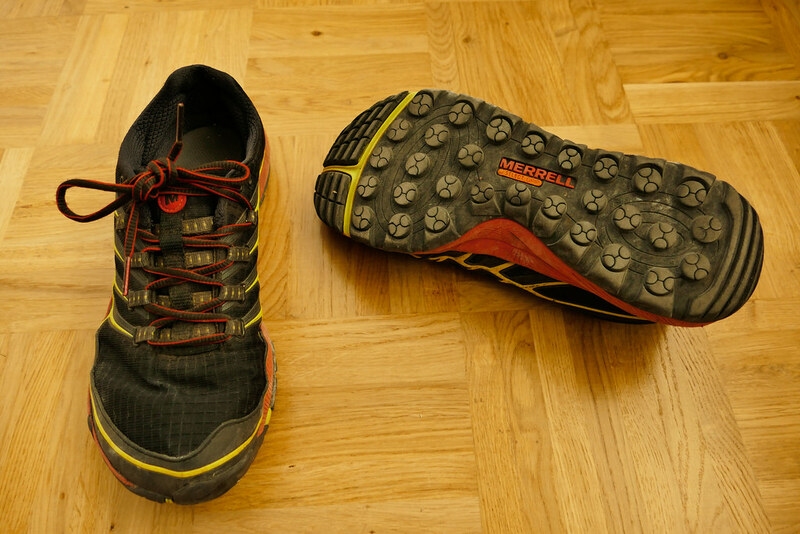 It’s a nice shoe with good grip on many surfaces, from wet grass to muddy uphills. The toe box offers your toes plenty of space, and the heel cup also gives a good fit. / 556 g in Size 42. 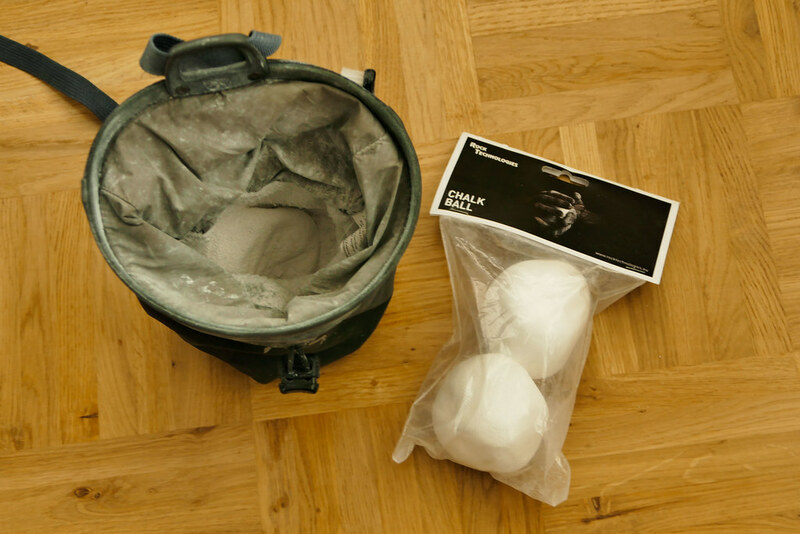 It was about time that I replaced the 60 l stuff sack I used for transporting my ultralight backpacks when flying abroad for a hike: It already had a few holes at it and somehow always arrived open in Vaasa’s airport at the baggage claim. 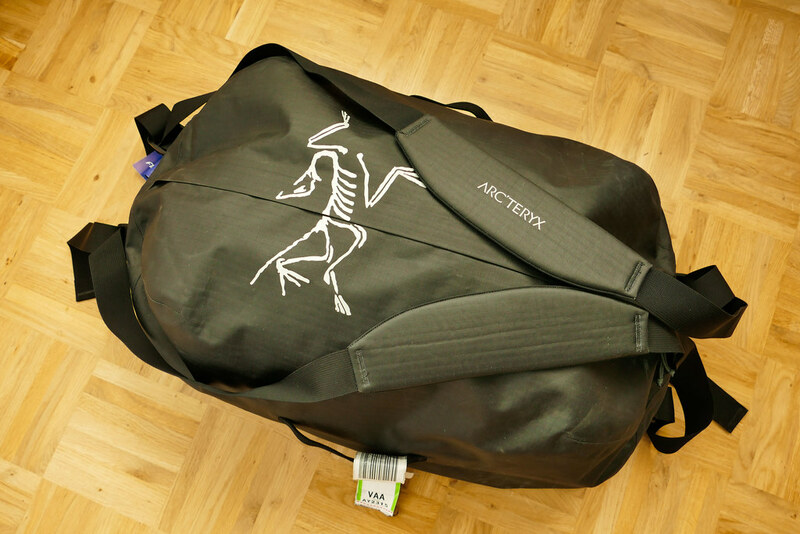 That no longer happens with the Arc’teryx Carrier Duffle 50: It stays closed and also the occasional downpours the duffle needs to endure when it’s loaded in to the plane are no problem anymore: The Carrier Duffle is highly water resistant. It is just 538 g heavy, which is in comparison with other duffles almost SUL! I can wear it backpack style or over the shoulder and at the airport the straps can be pulled tight and stored out of the way. At the top and bottom there is a haul loop and on each side there’s a handle - so you or the friendly airport employee can carry the duffle as it was intended. A superb piece of kit that goes along on every trip abroad. Also known as Cheater Gloves these 48 g light gloves allow you to climb cracks like Spiderman without ripping open your knuckles and the back of your hand. Also sweaty hands are no longer responsible for slipping in a crack. Sure, you could just tape up your hands and be tough when you go up a crack, but I find the Crack Gloves much better, really. Easy to use - the most difficult thing is figuring out your size - the gloves close with a Velcro strap and the outside is made of a sticky rubber which gives a lot of friction. The side that’s to the back of your hand has a cushioned mesh lining which makes sharp, sharp cracks slightly more bearable. 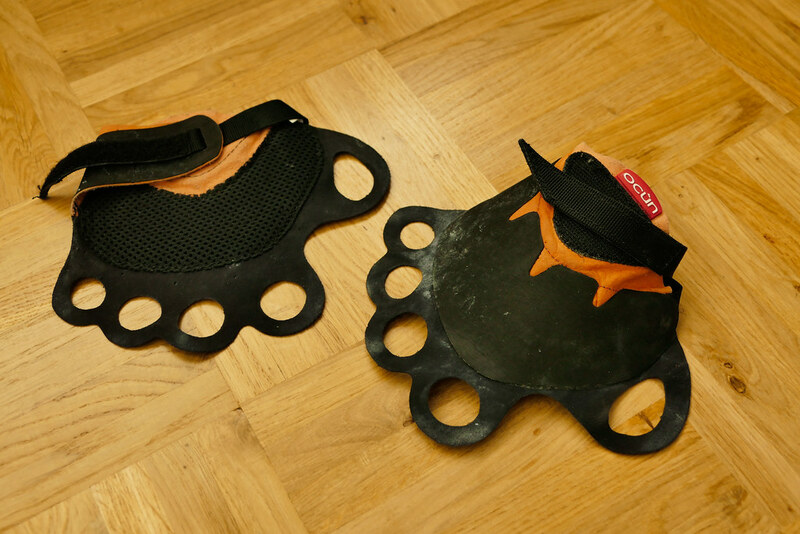 If you’re starting to get into crack climbing - get a pair. They’re cheaper than all the tape you’re bound to wrap around your hands, and a lot better. The 47 g light Peak Design Leash I bought earlier this year as I realized that my Dyneema cord ain’t the best solution to carry my camera (as explained here). I’ve been very happy with the Leash, it’s worlds more comfortable than the Dyneema string and easy to use, too. 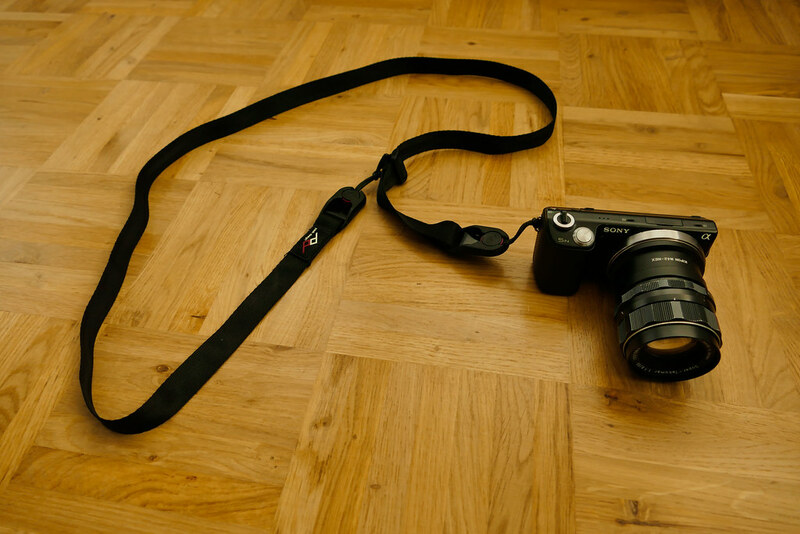 If it’s not needed or could get into the way I can quickly take it off, and the many varied possibilities the Leash can be used make it a really versatile camera strap. It’s also compatible the the Peak Design Strap and the new systems, which I’m considering trying out next. 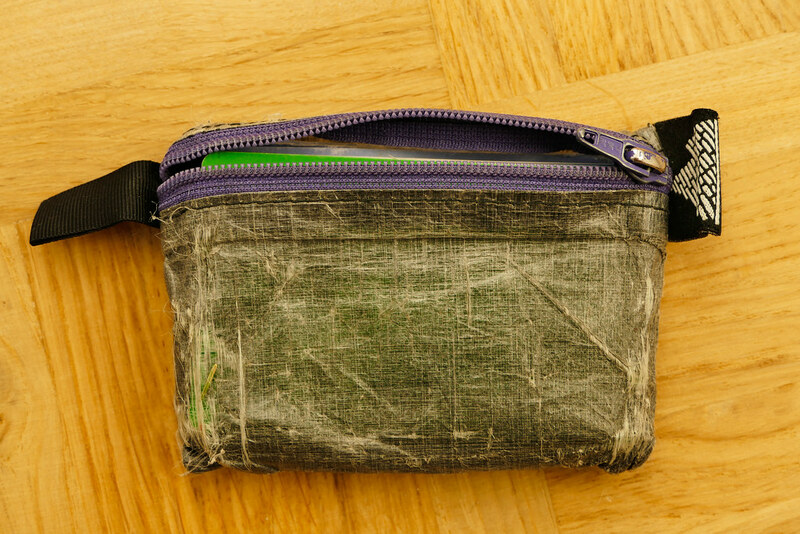 A companion since well over a year, the Hariyama Productions coin case is a 4 g cuben wallet and all I need for carrying cash & cards. It can get a bit tight when I have several business cards in there and need to carry cash, but in Finland I rarely need anything else than a Debit/ Credit Card either way so there’s no need to search for coins or bills. It has been water-resistant but after being daily pulled out of my pocket between a few times and a dozen times it look like I will need to get a new one. They come with differently coloured zippers and I think I will go for a orange one the next time!